Well, we had a blast at last weekend's festivals, but there are still more to come. This weekend brings us the Inman Park Festival. A preview of the Inman Park Tour of Homes begins on Friday, while the festival proper is Saturday and Sunday. Inman Park neighborhood in Intown Atlanta As in year's past, there will be live bands and entertainment under the tent on Euclid Avenue, in Delta Park and Poplar Circle. Other popular attractions include the Dance Festival in the Trolley Barn as well as the Arts & Crafts Show / Street Market in various booths along the streets of Inman Park. But the biggest draw of them all must be the parade, featuring a notorious selection of Atlanta’s craziest groups, including the the "Trash Monarch" and "Inman Park Precision Attaché Drill Team." 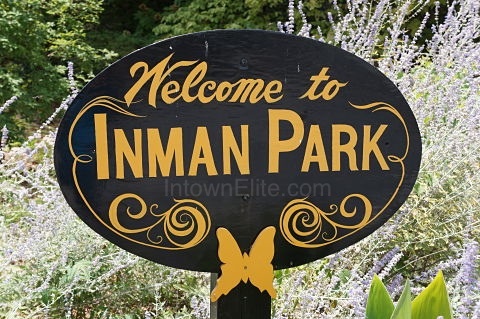 After whetting your appetite on the Tour of Homes, be sure to come back and visit our Inman Park neighborhood page to see all the Inman Park homes for sale. Hope to see you there! Well, what seemed like Atlanta's worst winter in over 20 years is over, and spring has finally sprung. 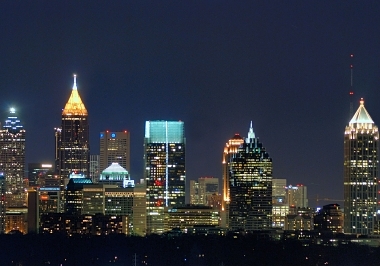 That means, among other things, that spring festivals are just around the corner in many Intown Atlanta neighborhoods. The first four major events kick off this weekend. The biggest event this weekend is the popular Atlanta Dogwood Festival. 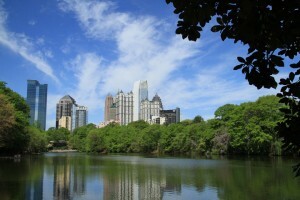 Held at Piedmont Park in Midtown Atlanta, this annual celebration of the blooming of the Dogwood trees has been a perennial favorite in Atlanta for over 70 years. In the 1970s an art show was introduced to the festival, and the juried Fine Art Market has played a big part in the festival ever since. The 1980s saw the tradition of live music begin at the Dogwood Festival, and this year is no exception with well over a dozen acts playing this weekend.